It seems no matter how many times a pattern is read and no matter how many pattern testers you have, there is always one step that ends up a problem. It was brought to my attention that there are not enough light-dark-light 2.5" strips to complete the 8 9-patch sets. I apologize for this. 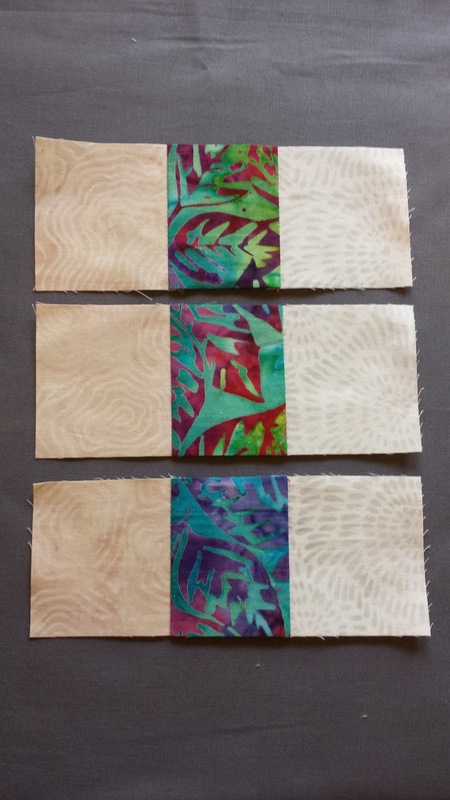 But, since this is a totally scrappy quilt, we’ll just go back to our scrap bags, (or left over jelly roll strips) and complete our blocks! Always press to the dark. Make 3 sets of light—dark—light. Use these light-dark-light strip sets to complete these 8 blocks.